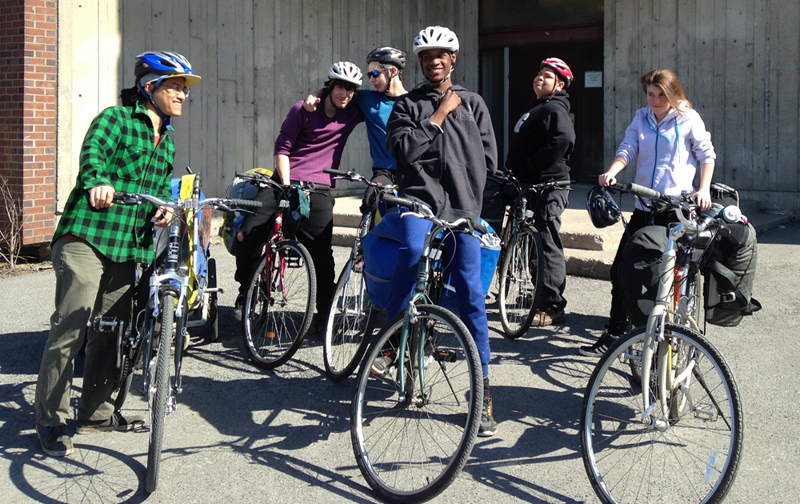 Cyclo Nord-Sud considers active transportation as an important vector for improving the communities’ social fabric. 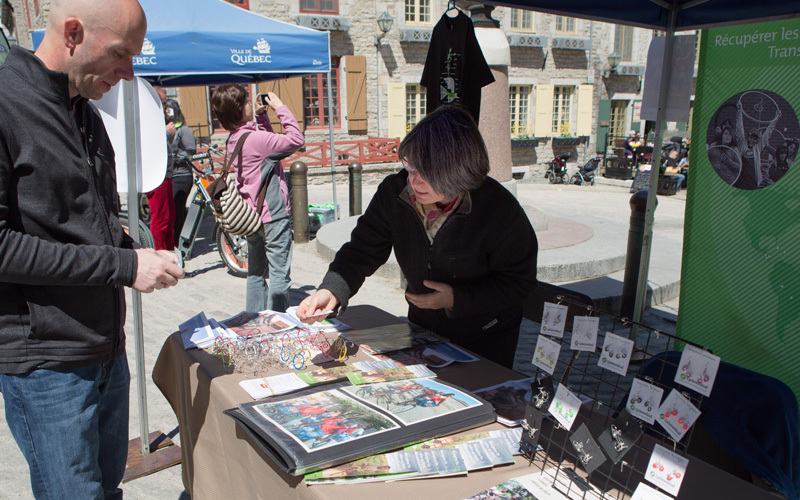 Cyclo Nord-Sud is actively involved in Quebec and particularly in the St-Michel neighborhood of Montreal, where it organises environmental and local solidarity projects. We evaluate agreements with schools, community organizations, and other institutions based on the merit of specific projects and according to our abilities. Do you wish to propose a project on which we could collaborate ? Cyclo Nord-Sud supports the development of sustainable mobility, primarily in the Saint-Michel district, with its community bicyle fleet. Cyclo Nord-Sud can offer community organizations, in the context of specific social projects, up to ten adult bicycles. Maintenance is provided by the Cyclo Nord-Sud team. Cyclo Nord-Sud hosts events about active transportation and the importance of cycling in urban life, in schools and local organizations. We also conduct activities on international cooperation and the importance of cycling as a tool for development. We also receive groups on our premises to present our bicycle collection, shipping activities and our local operations. All are welcome! 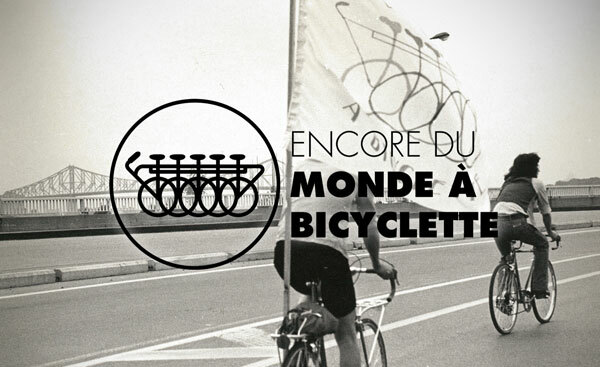 Encore du monde à bicyclette is a volunteer committee whose mission is a project that aims to preserve and promote the MAB’s heritage, in the context of the birth of the cyclist movement of Montreal. Consistent with its predecessors, it wishes to provoke the debate surrounding bikes, their capacity to be a catalyst for change and a way of transforming the city.